Clarion is a software development tool to help you get your business applications completed up to 10 times faster. Clarion features a Template driven Code Generator that automates the creation of complete Database Applications. Clarion features roundtrip Code Generation, which means that it preserves all of your hand-written code while still allowing you to make changes and re-generate your application, or any part of your application, as often as needed. At the core of the Clarion IDE is the Data Dictionary -- a metadata repository which stores Table definitions, business rules, attributes for defaults on how columns should be displayed on Windows and Reports, and user defined options. In Clarion, developer productivity doesn’t mean just a code editor and some wizards. Clarion extends your productivity with its focus on application Templates and underlying business class framework. Clarion enables you to tackle new business problems while decreasing the total cost of building applications. 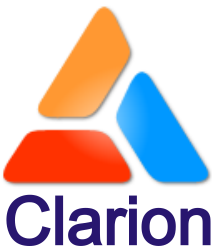 The Clarion IDE provides a unified toolset for developing native code Win32 applications and pure .Net managed code applications for the desktop, web and mobile platforms, taking advantage of a common set of tools including rich Template sets, Visual Designers, Drag and Drop controls, and Code Completion. Templates enable developers to solve complex business problems while reducing the total cost of development. Deploying any kind of software application is one of the most complex tasks you face as a developer. It's difficult to prepare an application correctly for installation on every possible system configuration and provide deployment options. But as a developer, writing your installation scripts shouldn't be harder than writing your own application! Serious setup development is a disease, SetupBuilder is the cure. Whether the need is a simple setup or a complex, fully customized installation, Lindersoft's products provide the perfect combination of power, ease of use, and flexibility. SetupBuilder handles all of the complexities automatically, configuring your software exactly as you want it, each and every time. If you are searching for an installation tool, you can't go wrong with the robust set of features included with SetupBuilder. Your application's setup is the first impression the user gets of your software. Mark Twain said it best when he said "you never get a second chance to make a good first impression". If your setup is unprofessional, asks questions the user doesn't understand, or just looks terrible, then the user has every right to hit cancel and download your competitor's product. In our experience, not only do they have that right, they tend to exercise it quite often! SetupBuilder delivers an unprecedented level of ease of use without sacrificing the powerful features that even the most demanding installation projects require! 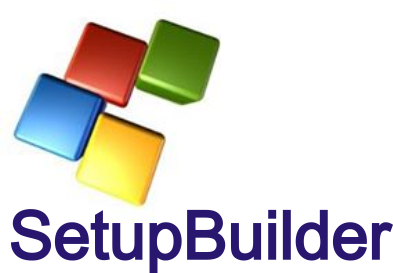 Unlike the monolithic software installation technologies available today, SetupBuilder has been designed from the ground up to deliver a perfect fusion of installation authoring, web deployment, configuration management, and scripting technologies. Thousands of corporate developers around the world use our powerful SetupBuilder installation suites. The new English Version 23 pre-release is now available, and with it many new features.